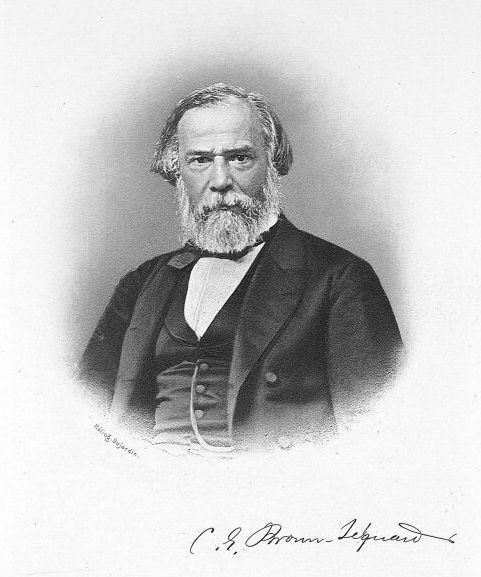 April 1 marks the passing of the French physician Charles-Edouard Brown-Sequard. 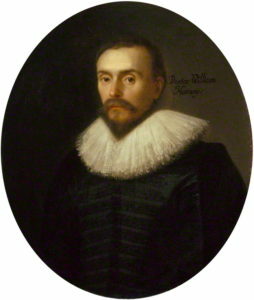 Other than discovering the physiology of the spinal cord and postulating the existence of hormones, he gained notoriety towards the end of his life for injecting himself with an elixir he developed from the testicles of guinea pigs and dogs. 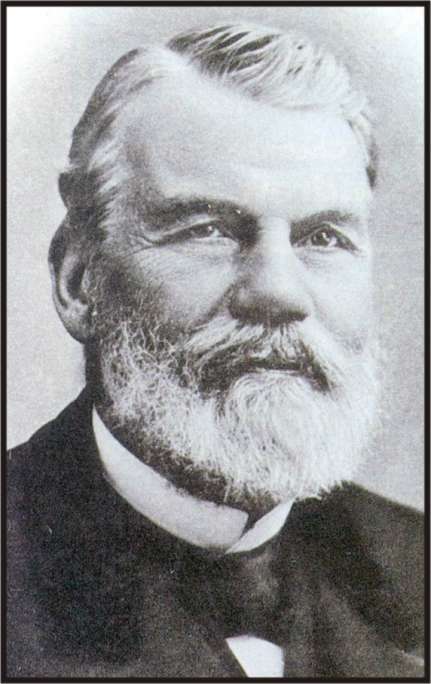 Doctor Brown-Sequard gained fame for describing the condition where the spinal cord is damaged half-way through where paralysis or loss of perception is observed on the side of the body containing the cord damage. This condition is still known today as Brown-Sequard syndrome. He was an extensive traveler, crossing the Atlantic on sixty different occasions. He resided in five different countries on three different continents. His extensive experimentation generated over 500 papers and credit for being the father of modern endocrinology. It was his study of hormones that cumulated in a lecture at the Societie de Biologie in Paris at age 72. At this lecture, he reported the results of his self-injected serum prepared from the testicles of guinea pigs and dogs. He claimed the serum rejuvenated him and was extending his longevity. 1989 – Ferdinand Brickwedde died. 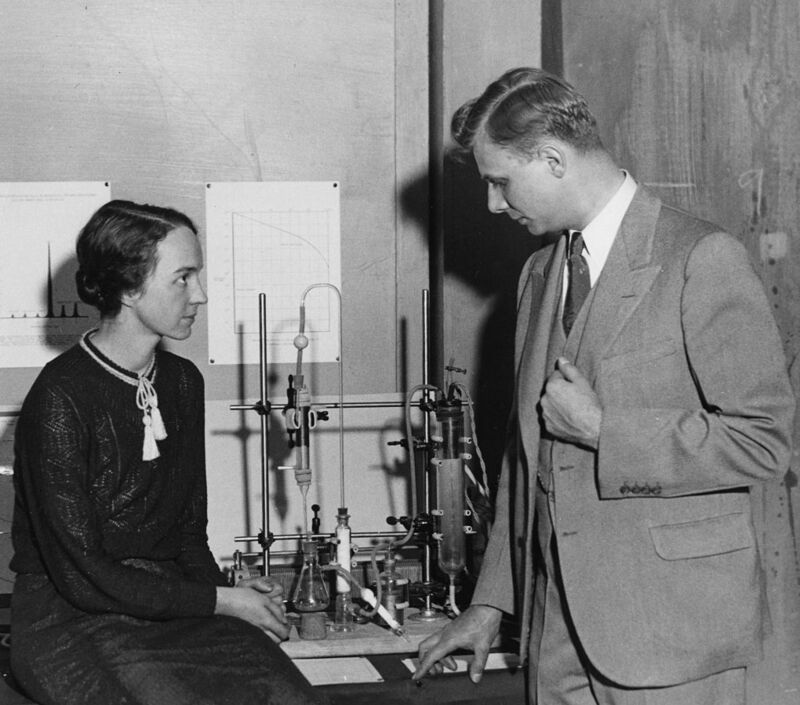 Brickwedde was an American physicist who co-discovered deuterium with Harold Urey and George Murphy. He produced the first measurable samples of the isotope from liquefied hydrogen. 1971 – Kathleen Yardley Lonsdale died. Lonsdale was an Irish crystallographer who proved benzene was composed of six carbon atoms arranged in a hexagon. 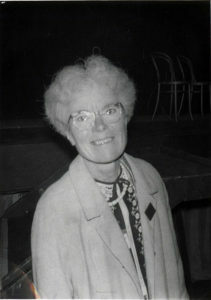 Yardley began her career as a mathematics student. It didn’t take her long to feel the lure of experimental physics and she switched her major to physics. She didn’t receive much support for her choice, but she topped the class when she graduated in 1922. One of her examiners was William Bragg. Bragg had won the 1915 Nobel Prize in Physics for discovering crystal structures could be determined by how x-rays are scattered as they pass through the crystal. Bragg offered Yardley a position in his research team working in the field he created. Soon she determined the structure of her first organic compound, succinic acid ((CH2)2(CO2H)2). 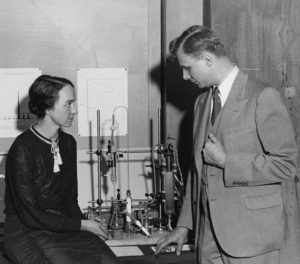 She married Thomas Lonsdale in 1927 and he supported her research position. He told her he had “not married to get a free housekeeper”. Her marriage did move her out of Bragg’s laboratory and into her own. It was here she crystallized benzene and showed the hexagonal structure predicted by Kekulé was true. She focused her work on x-ray crystallography of organics and pharmaceutical molecules. She also created tables of different space groups to make the work of identifying functional groups in molecules easier. She also studied the thermal effects and magnetic anisotropy of crystals. Lonsdale was also a Quaker and protested World War II by refusing to sign up for civil defense duty. This refusal earned her a £2 fine, which she also refused to pay. This earned her a month in Holloway Prison for Women. She became a prison reform activist after her experiences in prison. She became a Fellow of the Royal Society in 1945. Along with Marjory Stephenson, they were the first female Fellows of the Society. She was also the first tenured professor at University College in London and the first woman president of the International Union of Crystallography. and British Association for the Advancement of Science. For a fun and fascinating read, check out her lecture Women in Science. The Royal Institution website has a scan of this lecture in PDF format here. 1968 – Lev Davidovich Landau died. 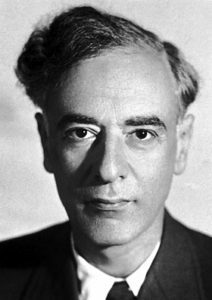 Landau was the main leader of Soviet theoretical physics and a central figure in the development of quantum electrodynamics. In the few years before World War II, he studied extensively in other European scientific centers and met with many of the pioneering physicists of the time. He published his theory of diamagnetism of a metal’s electrons at the age of 22. He returned to the Soviet Union to create one of the most rigorous theoretical physics schools in the world. He produced work on a multitude of topics involving quantum mechanics, relativistic quantum theory, field theory, thermodynamics and solid state matter. His research in low-temperature physics and his theory involving the superfluidity of helium-II would earn him the 1962 Nobel Prize in Physics. His theory showed that liquid helium cooled to nearly absolute zero (2.17 K) would become a “superfluid” where the viscosity and thermal conductivity would become zero. The “Landau School” in Kharkiv, Ukraine was the nickname for Landau’s theoretical physics department. To get into this department, the student had to take a comprehensive series of exams called Theoretical Minimum before admission. Candidates had to be well versed in English and German — most theoretical physics papers were published in either of these languages. When a student applied to take one the exams, they would call Dr. Laundau and he would schedule the exam at Landau’s apartment. When the student arrived, they left all their things in one room and entered another room with only a table and some paper. Landau would orally give a problem and leave the room. He would return to check the students progress every 20 minutes. If he said nothing, things were going well. If he made any thoughtful noises, like “hmm”, the student should probably rethink their thought process. Each exam consisted of only two or three of these problems. Between 1934 and 1961, only 43 students passed this exam. Landau’s career came to an end when in 1962, he was involved in a car accident from which left him in a coma for two months. He recovered from his physical injuries, but his mental creativity never really recovered and he did not return to work. 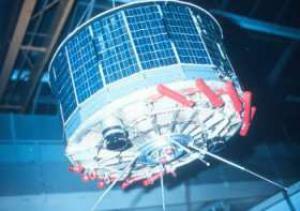 1960 – First weather satellite launched. The US Department of Defense launched the TIROS 1 (Television and Infra-Red Observation Satellite) satellite to become the first weather satellite. It was also the first satellite to transmit television signals from space. It remained in operation for 78 days. 1950 – Charles Richard Drew died. 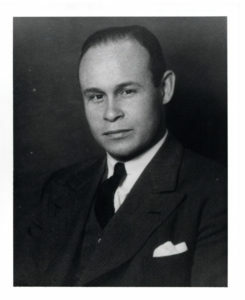 Drew was an American physician who did major research into blood transfusions and led the development of the modern large-scale blood banking system. 1933 – Claude Cohen-Tannoudji was born. Cohen-Tannoudji is a French physicist who shares the 1997 Nobel Prize in Physics with Steven Chu and William Philips for their research into extremely-low temperature physics of atoms using laser light. The laser light traps the atoms in a particular energy state, effectively “freezing” them in place. 1919 – Joseph E. Murray was born. Murray was an American surgeon who was the first to successfully perform a kidney transplant between identical twins. He would eventually manage to eliminate the need for identical twins for successful transplants. For this and his continued research into organ transplantation, he was awarded half the 1990 Nobel Prize in Medicine. 1901 – Francois-Marie Raoult died. Raoult was a French chemist who developed a law of solutions (Raoult’s Law) where the changes in a liquid’s properties when a substance is dissolved is related to the number of molecules dissolved in a given about of solvent. 1894 – Charles-Edouard Brown-Sequard died. 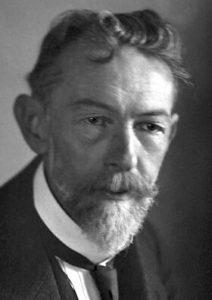 1865 – Richard Adolf Zsigmondy was born. Zsigmondy was an Austrian-German chemist who was awarded the 1925 Nobel Prize in Chemistry for his research into colloids. The invented the slit ultramicroscope to aid in his work. The ultramicroscope uses a high contrast background and a very thin beam of light to illuminate colloid particles. Zsigmondy began his career researching glass and glass coloring. He discovered the method to create Jenaer milchglas or Jenaer milk glass. Milk glass is opaque white colored glass which gets its color from colloid particles added to the molten glass. He also determined colloidal gold is what created the distinctive red coloring in ruby glass and cranberry glass. 1578 – William Harvey was born. Harvey was an English physician who discovered the heart acts as a pump and circulates blood through the body.